Bishops and priests from France, top, concelebrate the 7 a.m. Mass with Cardinal Dolan Nov. 27 at St. Patrick’s Cathedral. Among them was Paris Archbishop Michel Aupetit, standing to the right of the cardinal at the end of the altar near a candle and a pillar. Also concelebrating, at far right, were Msgr. Robert Ritchie, cathedral rector, by candle, and Father Joseph LaMorte, vicar general and chancellor of the archdiocese. 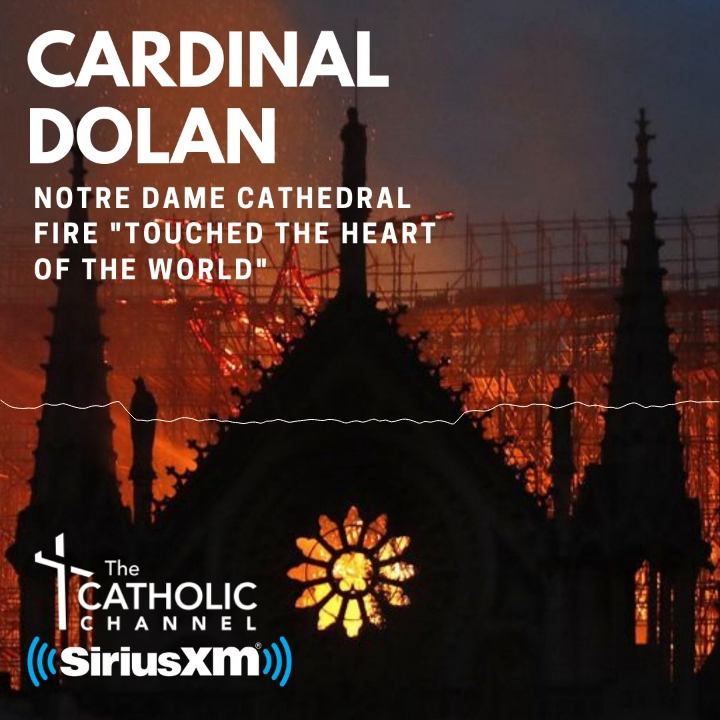 The French delegation was in the United States to study interreligious dialogue, particularly the friendship between the Jewish and Catholic communities, Cardinal Dolan explained to the faithful assembled for the liturgy. Holy Communion is distributed to congregants. The delegation’s visit in Manhattan also included Yeshiva University, Central Synagogue and YIVO Institute for Jewish Research. They arrived in New York Nov. 25 and visited Washington, D.C., before returning to France Nov. 29.